Women’s shoes covered one side of the broad steps leading to the Tarrant County Courthouse’s east entrance Tuesday morning — one pair for each woman in Texas killed in 2012 by someone who had been an intimate partner. 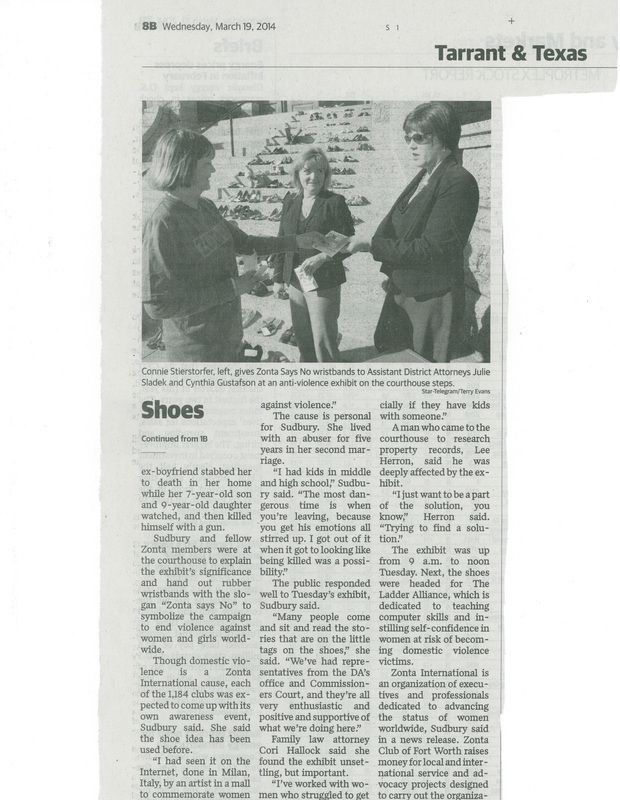 Among the 114 pairs of adult shoes were five pairs of little ones to represent the children who died with the women. 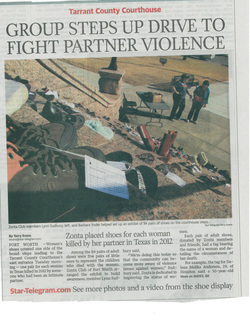 Zonta Club of Fort Worth arranged the exhibit to build awareness, member Lynn Sudbury said. “We’re doing this today so that the community can become more aware of violence issues against women,” Sudbury said. Zonta is dedicated to improving the status of women. 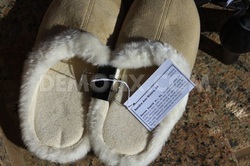 Each pair of adult shoes, donated by Zonta members and friends, had a tag bearing the name of a woman and detailing the circumstances of her death. 18 March 2014 by Richard Michael Knittle Sr. 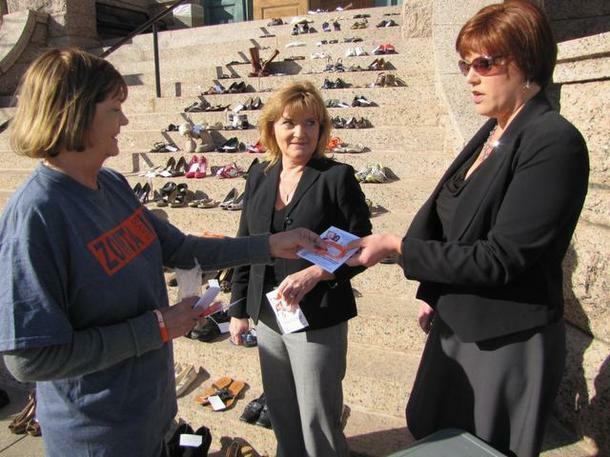 The Zonta Club of Fort Worth displays 114 pairs of shoes on the steps of Tarrant county courthouse, representing the women murdered in Texas, in 2012, by their intimate partners. The touching display is to bring awareness to violence against women.